I can’t believe it’s Thanksgiving this week. Where did the year go? If you’re like me, you’re running around trying to get things ready around the house, whether you’re hosting or visiting for the holiday. My husband and I are going to my parents’ house for Thanksgiving day and to my husband’s mom’s house the day after. I’m in charge of bringing dessert so I’ve been baking my heart away this past weekend. Since I’m short on time (more than usual) I needed to whip up dinner quickly and I wanted something that didn’t resemble turkey and trimmings (because I know I’ll be up to my eye balls with it later in the week). 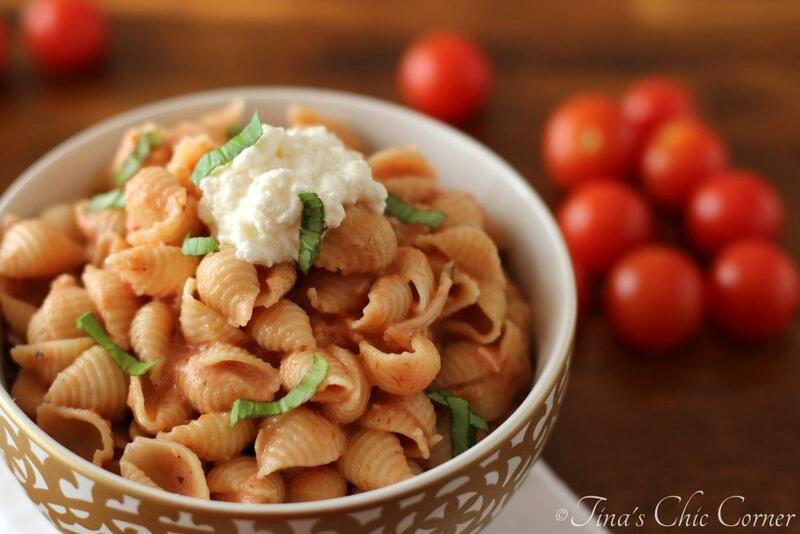 In the midst of pies and cookies, I whipped up this pasta covered in a creamy tomato sauce in 30 minutes. I even have leftover sauce to use for future quick meals. 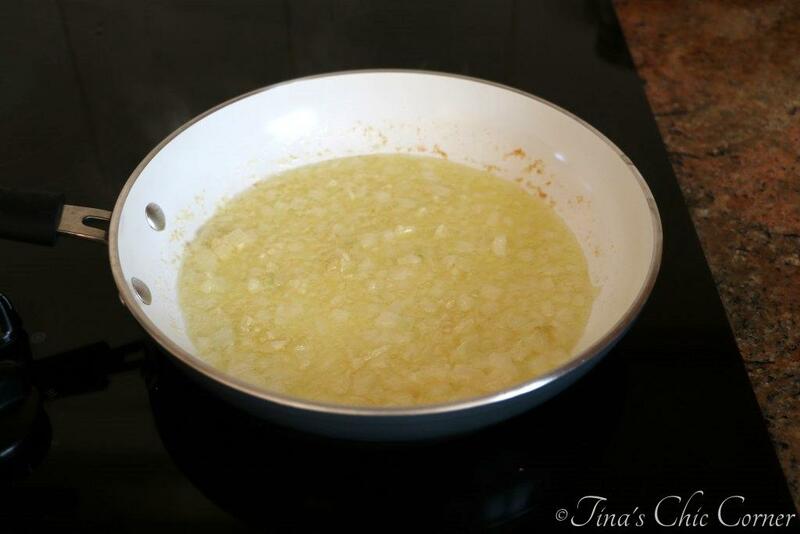 In a medium skillet, over Medium heat, heat the butter and oil. Add in the onions and garlic and cook for 2 to 3 minutes. Season with the salt, pepper, and white sugar. Turn the heat down to Low/Simmer and cook for it for 25 minutes, stirring occasionally. Remove the pan from heat and stir in the heavy cream. * Note: The cheeses and sauce will soak into the pasta overnight. If you don’t think you’ll eat all of the pasta then I recommend adding the cheeses and sauce directly to your plate and store the leftover sauce in a separate jar in the refrigerator. It’s kind of mandatory to have onion and garlic in Italian food and let me tell you, there is a lot of garlic going on here. The sauce starts off a tad thin and red. It is a tomato sauce, after all. 😉 It will thicken up a bit as it cooks. Boy, my kitchen smells fabulous with all that simmering garlic! Don’t let the awesome aromas distract you from cooking the pasta at the same time. Without a little multitasking this won’t be as much of a time saving meal. How cute is the shell pasta? Of course you don’t have to use it. This recipe is all about expediency so use whatever you have handy at home. Although I’d recommend using a pasta that has nooks and crannies so the creamy sauce has a place to hang out. 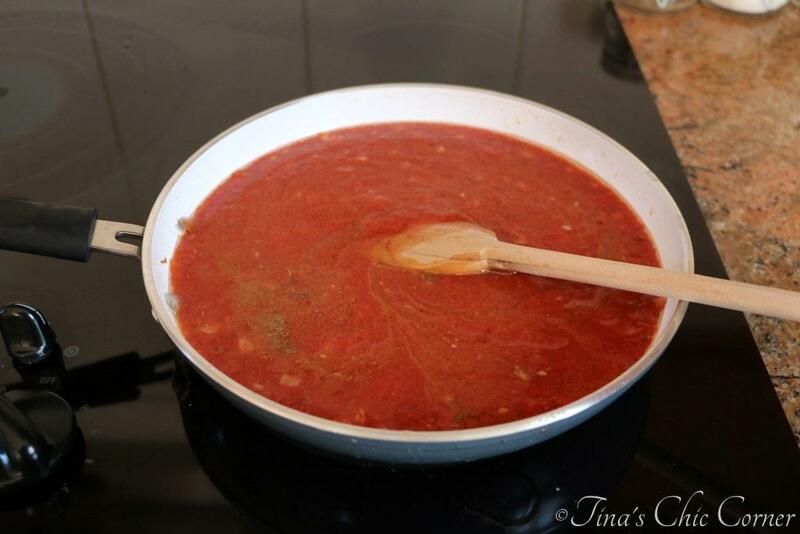 This pink sauce is a tomato based sauce and the heavy cream makes it rich. 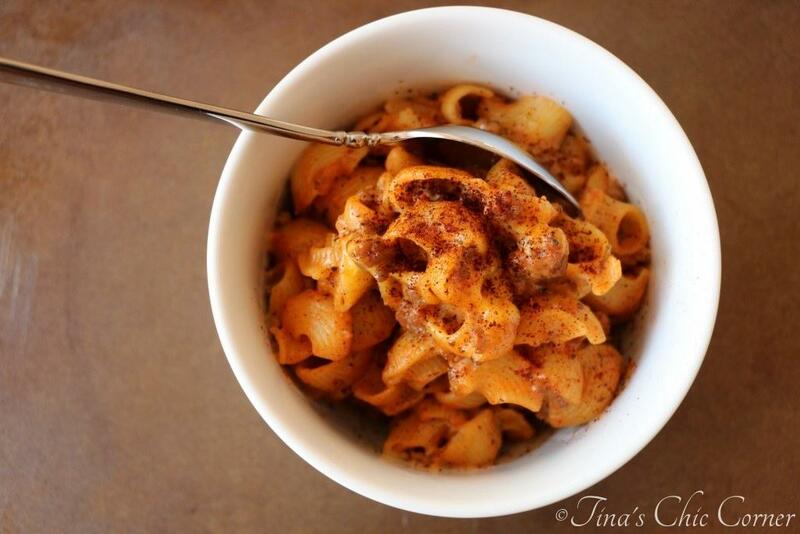 Its taste and texture is similar to a penne alla vodka sauce (minus the vodka of course). I think the cheese takes the sauce from great to phenomenal. I used both grated and shredded Parmesan cheeses to enhance the flavor and texture. Plus I added a dollop of ricotta cheese on top of my dish to make it even more creamy. I love my fresh basil so I sprinkled some on top too. It’s not just for color and presentation points…it really adds great flavor to the dish. This meal is super inexpensive. It’s definitely one of the cheapest meals I’ve made so far and I’m all for saving money! For those of you who celebrate Thanksgiving in the US, what are your plans? Here are some other quick meal ideas. I’m in charge of desserts too! It will look like a pie factory in my kitchen tomorrow night. This pasta looks tasty. I’m a sucker for any kind of pie! When can I show up? 😉 Have a lovely Thanksgiving Natalie! That bowl is so pretty! And so is this pasta dish; simple and decadent – perfect for rushed pie makers! I just bought this bowl at a Home Goods store for $3 or $4! Have a wonderful Thanksgiving holiday Mary Frances! I’m working today but I’m off the rest of the week. I’m making most of the sides to take to my mom’s place as well as desserts so I’ll be baking all day Wednesday! I love this pasta dish. So simple but I bet it’s good. Have a great week and a happy Thanksgiving, Tina! This looks like such a wonderful and tasty pasta dish! I love a good pasta for dinner! Have a great week Tina! Oh my gosh, this pasta looks awesome! 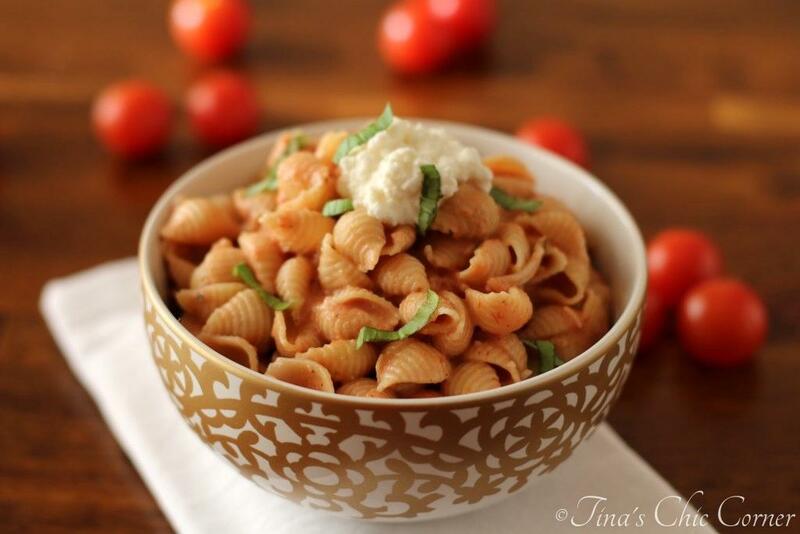 I’m not a huge fan of tomatoes, but creamy tomato sauce is something I’ve always been really attracted to. It’s just amazing. End of. Have a lovely Thanksgiving visiting your family! Thanks so much! 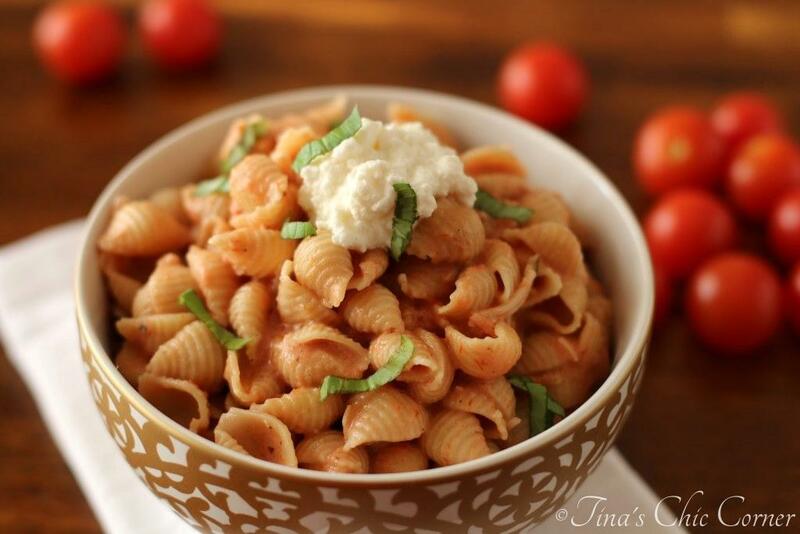 I put way more of this tomato cream sauce on my pasta than I do traditional marinara sauce. Now I do like tomatoes, but I’m just realizing that it’s probably because the tomato flavor is not as pronounced in this sauce. I ALWAYS order this type of sauce at Italian restaurants! There are so many names, so I just end up asking for “the pink sauce”. SO GOOD! I love a good bowl of easy, delicious comfort food like this! Perfect amidst all the craziness of holiday prep. Love having quick dinners! Have a wonderful Thanksgiving, Tina! Oh, I love penne alla vodka sauce and am really excited that you mentioned it tastes like this. I’ve been wanting an alcohol-free version so I will definitely be trying this one out. Thank you and have a good Thanksgiving! You can never go wrong with pasta…and right now, it’s a great idea to make extra sauce and things so you can whip up another quick meal another night. I applaud you for taking time to make good meals during this holiday rush. It takes a little effort but it’s so worth it. Have a wonderful Thanksgiving! Pasta is definitely my go-to meal! Thank you for your kind words. 🙂 You too have a lovely Thanksgiving! Tina, I love how fast and easy this is! 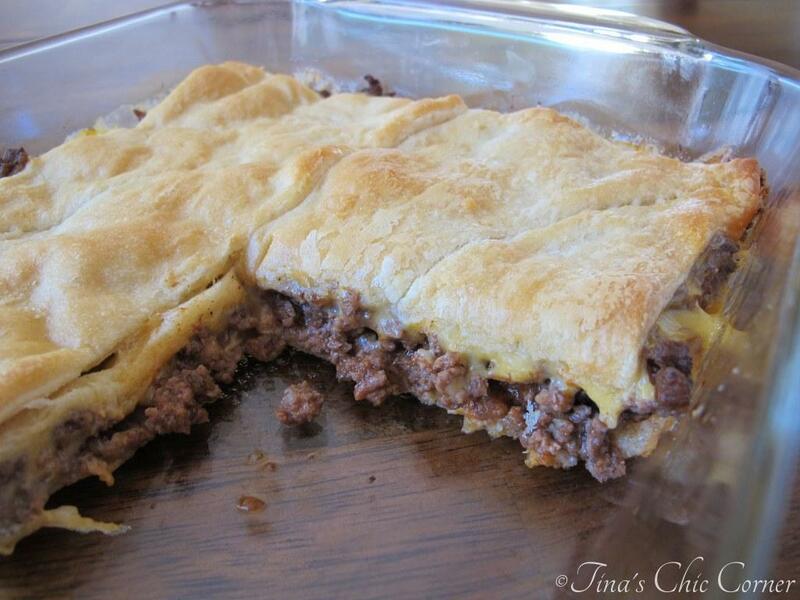 Great for a weeknight meal. I am always looking for great (fast & easy) recipes during the week! Have a great Thanksgiving! Thanks so much! You too have a wonderful Thanksgiving! 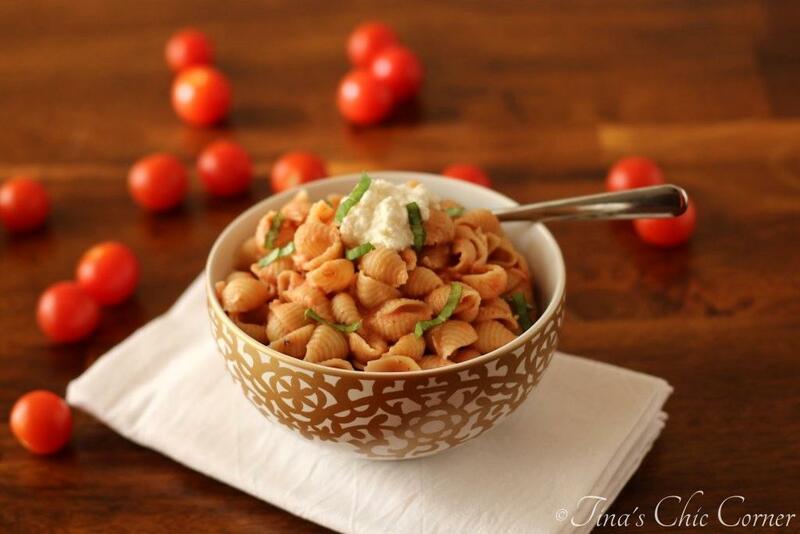 A bowl of this wonderful pasta is what I need right now! Off to brine the bird. Fascinating! I’ve never brined a turkey before…have fun! Thanks so much for stopping by. 🙂 Happy turkey day! I love quick dinners after a long day. This looks delicious!! Definitely a fan of a quick dinner, all year round! This sauce sounds fantastic.